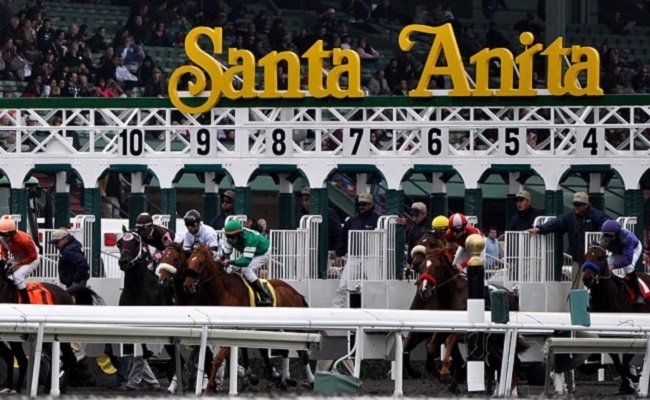 It took the deaths of 21 racehorses in two months for Santa Anita Park in Southern California park to finally announce it was cancelling racing indefinitely as of March 5. A track expert, Dennis Moore, would examine and refine the surface and determine whether it was safe. Southern California has had a record amount of rain this winter—nearly 15 inches have fallen on Santa Anita Park—and the wet weather one possibility for the number of horse deaths. Less than a week after it closed, Moore said the main track was good. “All of the test data support what we experienced this morning and that is, it’s where it should be,” he said. The track reopened for limited training on March 11. Just three days later, a filly named Princess Lili broke both her front legs and was euthanized. As of March 14, 22 racehorses have died at Santa Anita since Dec. 26, 2018. Last year, 10 horses died during the same period, which is still 10 horses too many. You’d think that for the safety of horses and jockeys—which Santa Anita Park owners The Stronach Group (TSG) have said is their top priority—they would ideally shut the track down permanently, or at the very least until the can determing the cause of so many horses’ deaths. But no, the track reopened again for training just a few hours after Princess Lili suffered catastrophic injuries on it. TSG announced the track would reopen for racing on March 22. TSG also announced new safety measures that it would put in place at Santa Anita and another of its horse-racing facilities, Golden Gate Fields in Berkeley. Among these measures were a restriction on the use of whips and a race-day ban of the powerful diuretic Lasix, a performance-enhancing drug that can also mask lameness in horses when vets examine them before racing. Most countries ban the use of Lasix on race day, but not the United States—for now. It’s a sad fact that many racehorses that suffer catastrophic injuries have had previous injuries for which they’re given pain medicine so they can continue running. According to a 2012 New York Times investigation that analyzed data from more than 150,000 races—as well as injury reports, drug test results and interviews—California researchers found that 90 percent of horses that break down on the track had pre-existing injuries. Nationwide last year, a mere 3.6 percent of horses did not start with Lasix, Los Angeles Times reports. Unfortunately, two days after announcing its new safety measures, TSG caved to demands from the Thoroughbred Owners of California (TOC), which threatened to take 140 horses to other states to race. In a compromise with the TOC, with the exception of horses born in and after 2018, the race-day medication ban will not go into effect until 2020. For the remainder of this year, Lasix will still be allowed on race day for other horses, with the maximum dosage cut in half. Because these new measures must be approved by the California Horse Racing Board (CHRB), the scheduled reopening of the track for racing has been pushed back a week to March 29. Incidentally, at PETA’s request, Santa Anita Park is now under investigation by the Los Angeles County district attorney’s office, which is working with the CHRB to see why so many racehorses have died there. PETA wants the investigation to target trainers and veterinarians for possible violations of California animal cruelty laws. In a bittersweet coincidence, the same day the 22nd racehorse lost her life at Santa Anita, U.S. Reps. Paul Tonko (D-N.Y.) and Andy Barr (R-Ky.), co-chairs of the Congressional Horse Caucus, reintroduced the Horseracing Integrity Act (H.R. 1754). Under existing law, the U.S. horseracing industry is made up of 38 state racing commissions that produce “an inconsistent patchwork of rules governing the sport, including medication policies and practices,” Tonko said in a press release. The Horseracing Integrity Act would protect all U.S. racehorses by creating a uniform national standard for drug testing. It would ban all medications within 24 hours of a race and create an independent authority to develop and administer a nationwide anti-doping control program for the horseracing industry. This bill is almost identical to the Horseracing Integrity Act of 2017 (H.R. 2651), which Reps. Barr and Tonko also introduced . More than 130 members of Congress supported that bill. Hopefully those 22 horses didn’t die completely in vain at Santa Anita Park and will inspire Congress to pass this important act. Please sign and share this petition urging Congress members to help save the lives of horses by passing the Horseracing Integrity Act (H.R.1754). Join over 50,000 people who have signed this petition asking Santa Anita Park to close for good. If you want to make a difference on an issue you find deeply troubling, you too can create a Care2 petition, and use this handy guide to get started. You‘ll find Care2′s vibrant community of activists ready to step up and help you. So much worse than I even imagined. Horse-racing is NOT a sport. It is a continuous torture of the horses, who have to race as fast as they can and either fall from fatigue or from unhealed injuries. As soon as animals are forced by criminal humans to do extra ordinary things, it is abuse !! It is not sport. I know horses love to run hard, but in their own tempo, at their own convenience and when they suffer pain or have problems breathing or with their heart, they automatically stop. However in these horse racings, the animals can not "just stop". They are pushed over their level, resulting in severe injuries, breaking legs, heart defects, etc.. and the final result is a euthanised horse, just good for the slaughter house. Horse racing is just an "event" created by people, enabling rich horse owners to legally abuse their animals, become even richer then they already are, and when their animals don't win enough races any longer, they are sold to a slaughter house, to become food for dogs and cats. Most horses have to stop racing because of incurable diseases or injuries, amongst which also many severe back injuries. When horses run in the wild, they don't have any weight on their back !! It is just legal cruelty and abuse. And it's time this is stopped !! It is horrible that it took that many deaths before any action was taken. Always greedy people at the core of every problem. It is time for the exploitation of animals to be stopped, in all endeavors, be it racing, fur trade, etc., etc., etc. We should be doing all we can to protect and preserve their lives. This is the very definition of cruelty and must stop forever. No animal should ever have to be at the mercy of those who worship at the alter of $$$$ Lets take away what matters the most to these cruel monsters - the $$$$ they so desperately seek. 5 Could This Case Threaten Roe v. Wade?